There’s something so wrong about the original “The Producers.” The premise, of course, is totally out of bounds; a rapacious Broadway producer (Zero Mostel) bullies his panicked accountant (Gene Wilder) into helping him make a deliberate flop, a sunny musical called “Springtime for Hitler,” so they won’t have to pay back their financial backers. This was in 1968, only 23 years after the end of World War II. Imagine seeing a remake in 11 years that features a 9/11 musical instead, and you get some idea of the fire Mel Brooks was playing with here. Despite all this (or, let’s face it, because of it), “The Producers” has earned its status as one of the great film comedies ever. Shout! 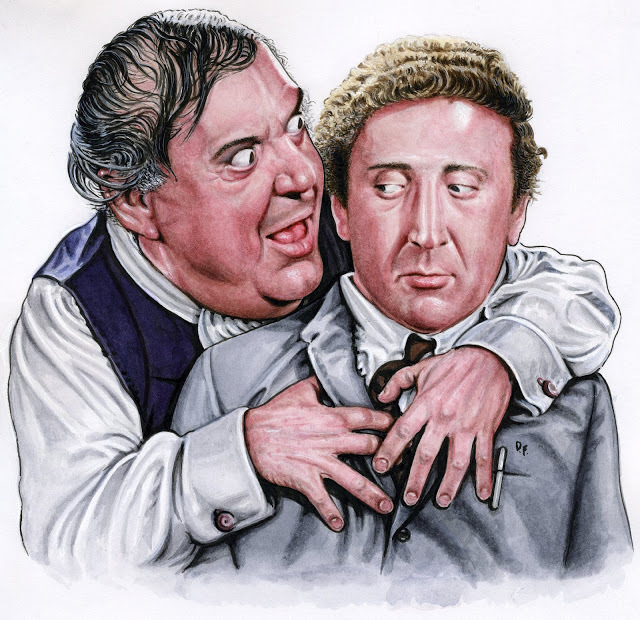 Factory, which has released a couple of excellent Mel Brooks documentaries and retrospectives recently, has just put out “Producers” on Blu-ray. If you haven’t seen it, or need to remind yourself how gleefully transgressive it really is, pick it up. The Blu-ray carries over most of the extras from the latest DVD release, including a pair of making-of features. One is a documentary-style interview with most of the players, in which we learn that Kenneth Mars, playing the pigeon-and-Hitler-loving playwright, wore his Kaiser helmet to bed with him every night during the shoot. The other is an excerpt from “Mel and his Movies,” in which Brooks himself tells of the unlikely success of the film, which went from almost not being released to winning an Academy Award for Best Original Screenplay. Paul Mazursky also reads a glowing full-page ad that Peter Sellers posted in Variety about the film, which is credited with giving the film a push when it really needed it. Genius recognizes genius.